Hey ya’ll! 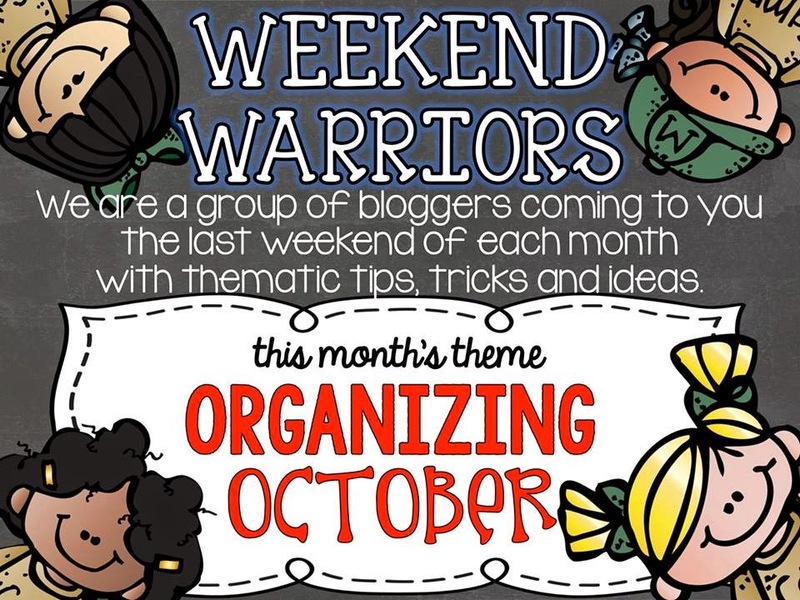 I’m back with my Weekend Warrior gals for Organizing October. 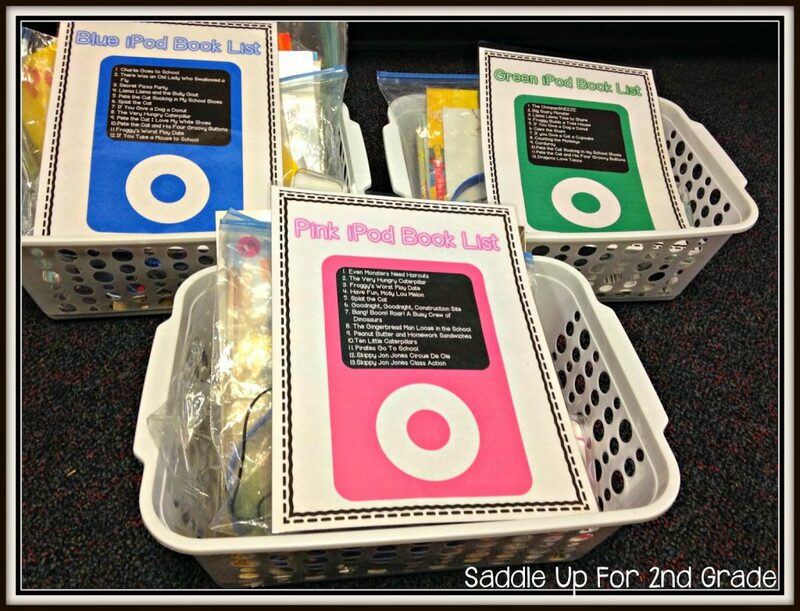 You can check out some of my other classroom organization posts by clicking here and here. I’ll be the first one to admit that I am probably not a person you should be taking organizational advice from. My desk is always a hot mess and I have stacks of paper everywhere. I try hard though. I do know where everything is in my organized mess though. 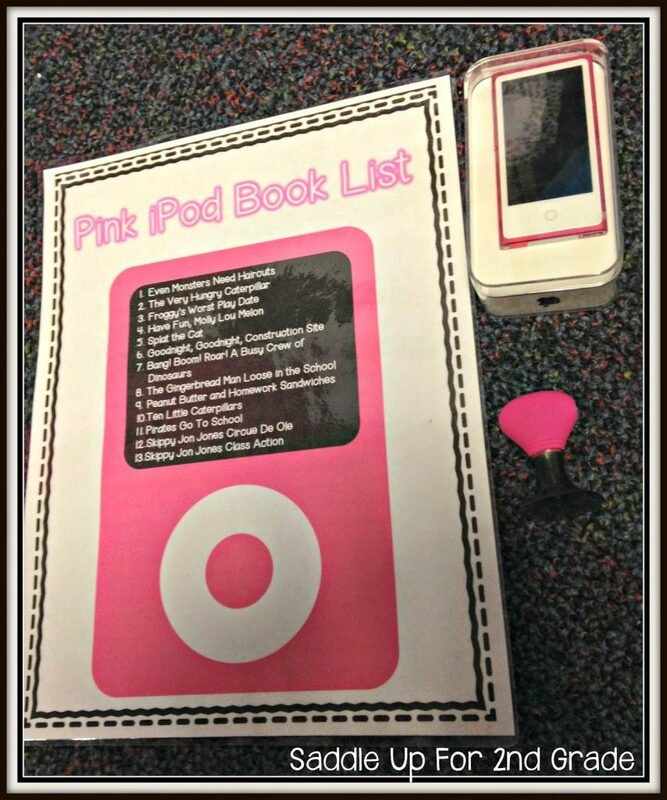 Over the summer, I was very fortunate to get three iPods for my listening center donated to my classroom through DonorsChoose. 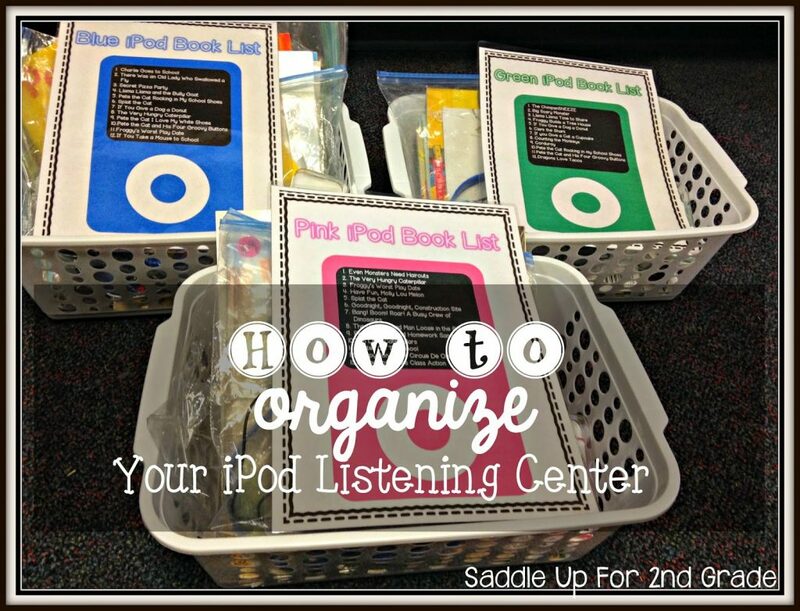 Today I’m going to share with you how I keep it all organized. I have three iPods nano. They are blue, green, and pink. 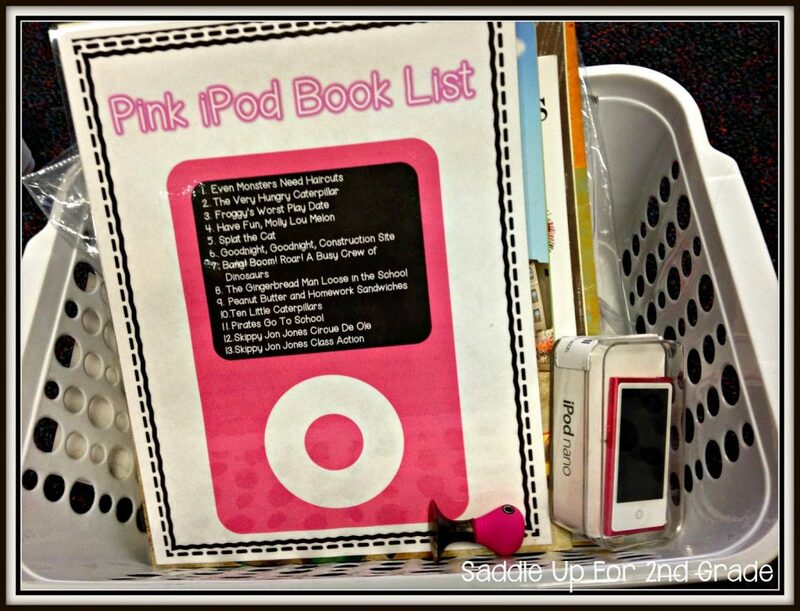 Each basket includes a set of books, 2 sets of headphones in baggies, and colored headphone adapter, and a iPod poster that includes all the book titles that are on that particular iPod. We spent A LOT of time at the beginning of the year learning how to use these properly and how to take care of our baskets to keep them looking nice. Each basket is organized by color. I keep my iPods in the cases that they came in. My students have been very good about placing them back in the case correctly. I found these headphone adapters through Jane.com over the summer and they matched my iPods perfectly. I got one to match each iPod and they have worked great so far. Each iPod also contains different stories for them to listen too. All of my books also have a colored sticker on them so they know which basket/iPod the story goes with if it gets misplaced. We store our baskets on a shelf and it works perfectly. I haven’t had any trouble (besides tangled headphones) this year. My kids are very responsible when taking care of these. 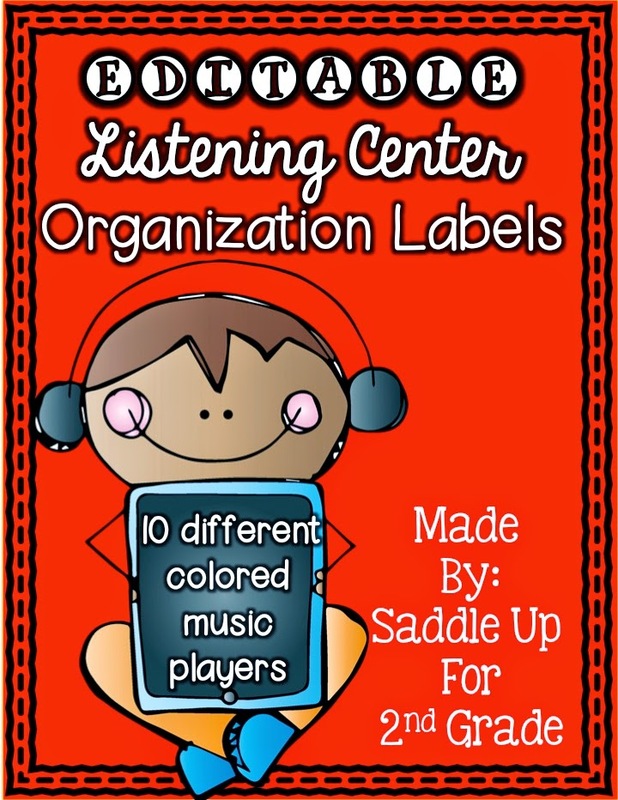 You can get these EDITABLE Listening Center Organization Labels in my TPT store. 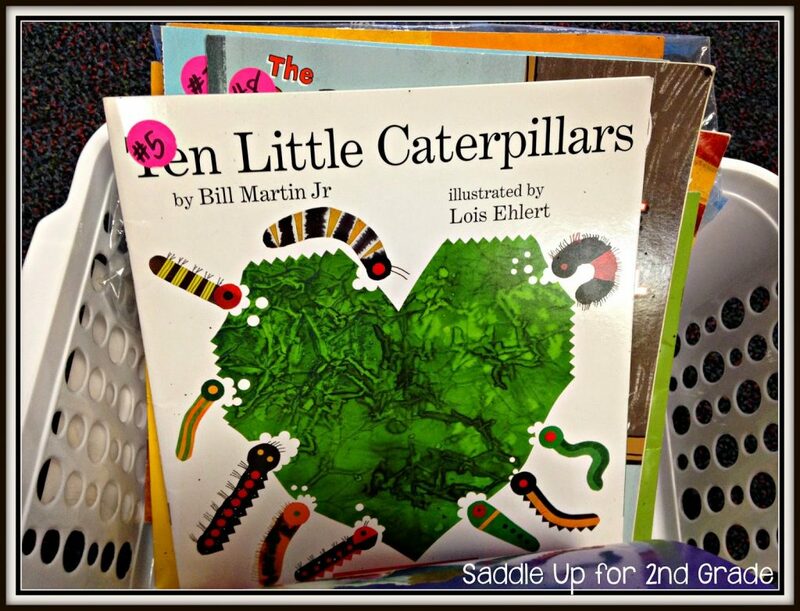 They come in 10 different colors and you can customize them to fit your library needs. On a different note…do you have Pinterest? I know you do! 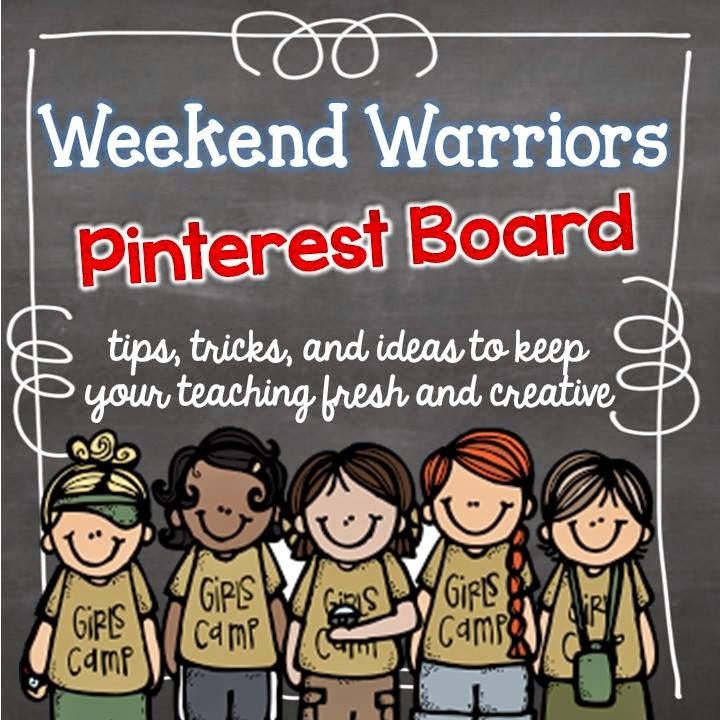 My weekend warrior gals and I have come together to bring you an exclusive pinterest board that offers tips, tricks, and great ideas that we use in our classrooms. Click here or on the photo below to follow our board. You can click on the any of the links below to get other great organizational tips from my sweet friends. Check back tomorrow to see how I organize all my pretty, precious, colored paper we use for craftivities.